Hummus, pita, falafel—these are just some of the components of Middle Eastern cuisine, a Top 10 Trend for 2018. 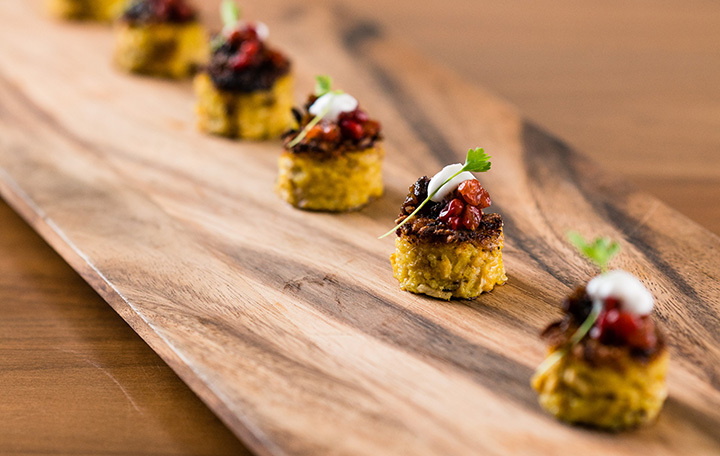 At Art of Catering Food 2018, Executive Chef Jimmy Olang of 24 Carrots took the trend even further when he presented his Persian concepts to the audience, including beautiful details such as barberries (known as zereshk), from the cranberry family, with a terrific flavor profile of sweet, sour and tart. Taking the audience on a journey of ingredients and recipe ideas, the group also was able to taste Chef Olang’s delicious Tahchin, a saffron chicken rice cake. 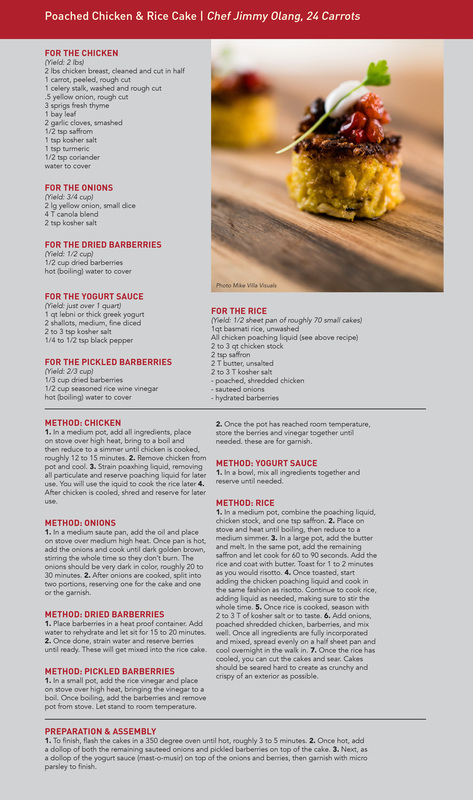 Enjoy this recipe from Art of Catering Food 2018, and if you are interested in learning about Art of Catering Food 2019, go to conference.catersource.com for more information. Registration opens mid-September 2018!